Next Friday's CAFFEINATED MORNINGS is with DAN RICHARDSON Founder + CEO of Helixaeon. It’s estimated that todays creative/maker will have more than 10 - 14 “careers” in their lifetime. 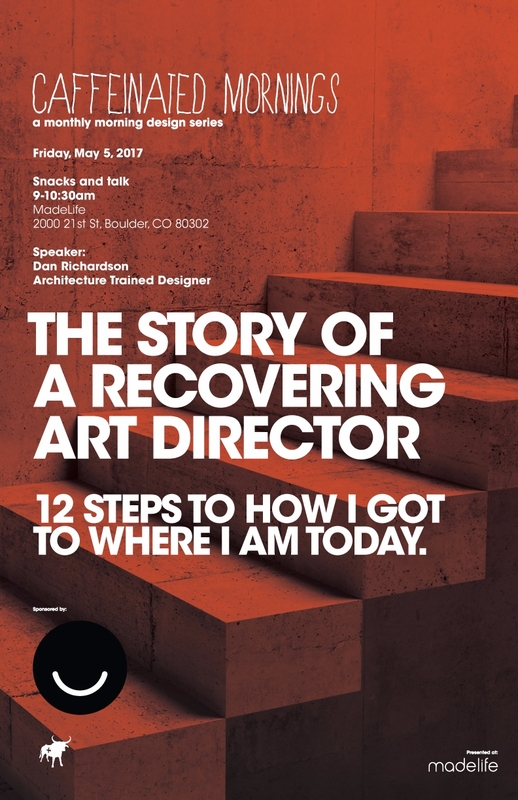 Join us for a discussion around the various roles and circumstances that have shaped one designer's career and the resulting effect it has had on his work and choices in what’s next. Originally trained as an architect and environmental designer, Dan’s creative direction and design work has gained some of the highest international awards and recognition. Dan consults in a wide variety of fields including action-sports, airline, CPG’s, energy, food product, medical, publishing and wireless industries.